Williams are in turmoil in the build-up to the new Formula 1 season as a result of delays building their new car. The new FW42 missed the first day of pre-season testing on Monday, will not be ready for Tuesday and is likely to miss much of Wednesday as well. On track, Ferrari's Sebastian Vettel set the pace, with a lap 0.4 seconds quicker than McLaren's Carlos Sainz. Mercedes F1 boss Toto Wolff said Ferrari "looked ultra-strong" but added no team was chasing ultimate lap times. The 56-year-old joined Williams in 2017 from Mercedes, where he was the senior technical figure as the team won three consecutive world title doubles from 2014-16. 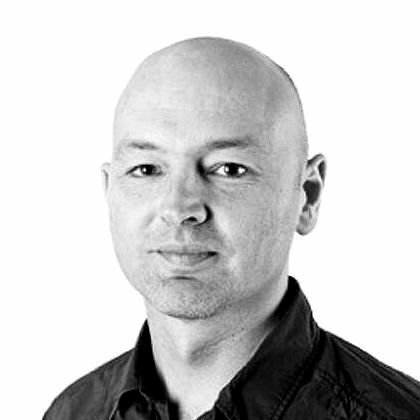 Lowe is ultimately responsible for all technical aspects of the Williams group, including the performance of the F1 car, and pressure is building on him within the team. Insiders say that employees had been warning for some months that delays could lead to the car missing the start of testing, but action was not taken in time to solve the problem. Teams are allowed only eight days of testing - four this week and four next - before the first race in Australia on 14-16 March. Deputy team principal Claire Williams described the delay as "extremely disappointing". She added: "It is looking more likely than not that we will now not be in a position to run on track until Wednesday at the earliest." On Monday, Williams hoped the car would be ready to fly to Spain on Tuesday evening, but the earliest it is expected to be at the track is between 1am and 2am local time on Wednesday. Although Williams plan a night shift to prepare the car for the third day of the test, they accept it is unlikely to be ready for the start of testing at 9am local time, given the inevitable teething troubles any team encounters with a new car. The aim is to get the car on track at some point on Wednesday, but that could slip to Thursday - the final day of the test - if there are any problems. Just as worryingly for Williams - who dominated much of the 1980s and 1990s in F1 but slumped to last in the constructors' championship in 2018 - the team fear privately the car will be slow when it does finally hit the track. Insiders say it is projected to be at least two seconds slower than last year's car, which was already the slowest in F1. Rule changes to front wings aimed at improving the racing have reduced downforce at the initial stages of design but many teams have clawed a large part of it back, and the times set on track on Monday suggest most teams' cars will have comparable pace at least to 2018. But that remains a subject of speculation until at least it runs, and more likely until the race in Melbourne next month. Williams were hoping to make progress this season after their poor performance forced them to recognise how far they had fallen, and they embarked on some internal restructuring. The team have an all-new driver line-up of Robert Kubica, who is returning to F1 after eight years out caused by life-changing injuries suffered in a rally crash in February 2011, and British novice George Russell - the Formula 2 champion. Vettel ended the first day fastest, ahead of Sainz, Haas driver Romain Grosjean and Red Bull's Max Verstappen. "We couldn't have hoped for a better day," said Vettel, who completed 169 laps, more than any other driver. "It was unbelievable. "The car was working really well, we had no issues slowing us down. We actually completed the programme just the way we wanted. And were able to squeeze a little bit more out even." Lewis Hamilton, who drove only in the afternoon after taking over from Mercedes team-mate Valtteri Bottas, was ninth fastest as the world champion, as usual, concentrated on longer runs in testing. Mercedes F1 boss Toto Wolff said he thought Ferrari, who let their title chances slip last year with a series of errors, "looked ultra-strong". "We are all looking at lap times but it's not the purpose of these tests - it's about going through the data and testing the parts," Wolff said. "Sebastian Vettel's time was very quick. The time was quicker than everyone else and definitely the Ferrari has been going strong this morning." Wolff said Hamilton had come back from his winter break in good form. "The (car) weight regulations have been lifted and he came back stronger and musclier than before," Wolff said. "He is in a super mental state, the best I have seen so far. So he looks physically and mentally in shape. A good start." Pre-season testing times are a notoriously misleading guide to real form as it is impossible to know the specifications cars are running in - tyres, fuel loads and engine modes all make a significant difference to performance. Most of the teams ran reliably despite it being the first full day of testing, although both Haas and McLaren had cars stop on track. 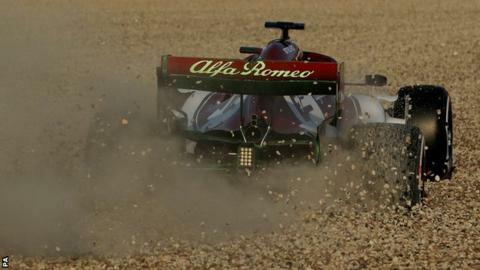 Kimi Raikkonen spun the Alfa Romeo into the gravel at Turn Five on his first flying lap of the day but there were no crashes. Vettel had a spin, but stayed on track, at the chicane early in the day.